Julia M. Houser; Campbell, Erickson, Ference & Hall; David H. Epperson; Epperson & Owens; Attorneys for Defendant/Appellant. G. Eric Nielson; Ryan M. Springer; Michael D. Karras; G. Eric Nielson & Associates; Attorneys for Plaintiff/Appellees. 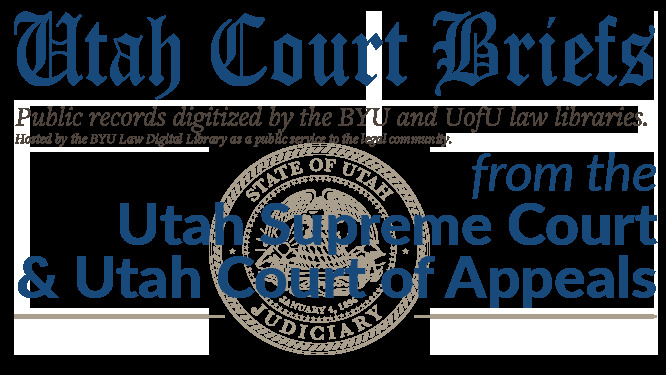 Reply Brief, Melissa Waddoups and Corey Waddoups v. Barry A. Noorda, MD,; IHC Health Services, Inc., a Utah Corporation d.b.a Logan Regional Hospital; Cache Valley Women's Center, PLLC; and does I-X : Reply Brief of Plaintiffs/Appellees, No. 20120310 (Utah Supreme Court, 2012).